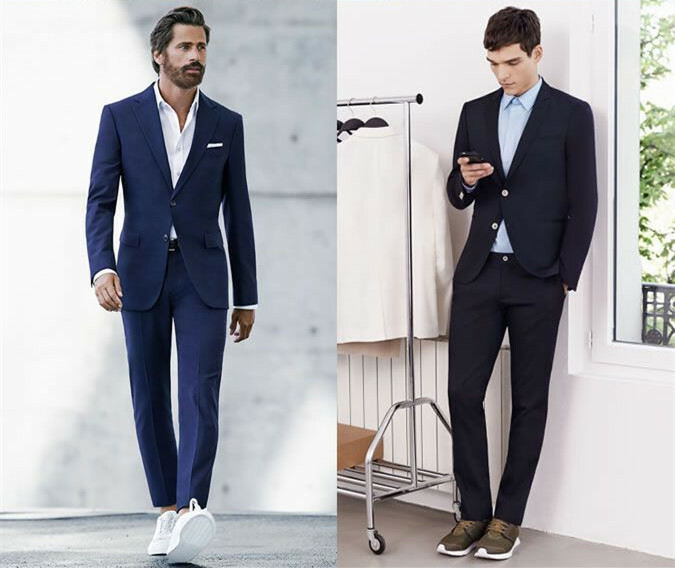 How To Be Chic In Sneakers and Suits? Every decade, men’s fashion sees a pairing of genre mixing. In the 90’s it was the cardigan and flannel look, in the early 2000’s it was the hoodie and blazer combo. Today, it’s pairing the suit and sneakers. Not long ago, any member of the men clothing fashion police would have instinctively told you that pairing sneakers and suits broke all the rules. Not anymore though, as these rules have been thrown right out the window. Men wanting to show off their own personal style, have broken these rules and come up a new and refreshing style in men wholesale clothing. 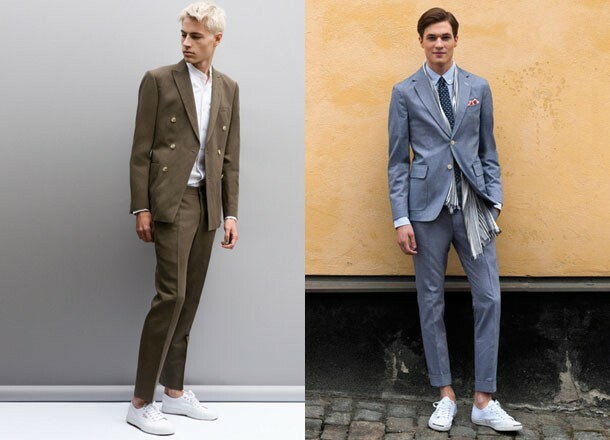 To look chic in sneakers and suits there are certain rules men should follow, and unfortunately, not all men are doing it right. For any man that wants to create their own unique style, they need to understand the rules, then bend those rules. The mix of high style and low style isn’t a new thing in men clothing. This style is generally when you mix custom pieces or tailored suits with casual everyday items of clothing. Or, mixing the more expensive items of clothing in your wardrobe with the less expensive ones. It’s when the lines are blurred between casual and formal. When choosing sneakers, it’s really important to pick the right kind of sneaker. You can’t just wear old battered trainers that lost their color, has frazzled laces and falling apart… no, this just does not work. The sneakers should be minimal, not sport specific, no big logos showing. Understated leather or suede sneakers work best. The suit should be tailored to perfection. No baggy old-fashioned suit will work here. 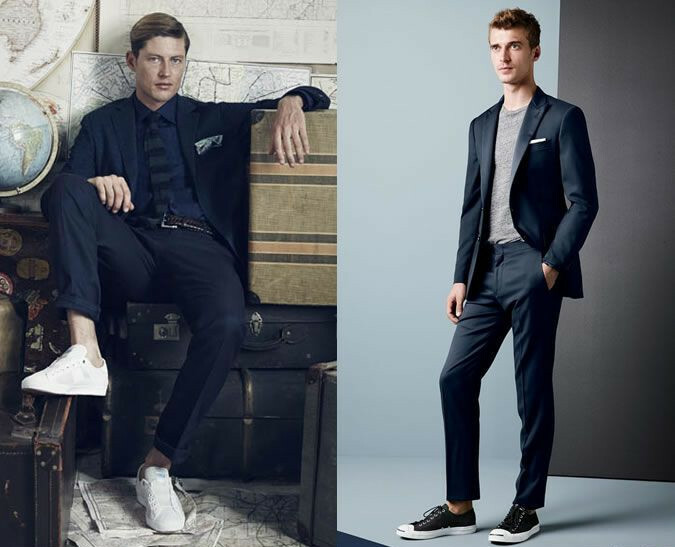 The more casual the suit looks, the better this sneaker and suit combo will work. Casual details on a jacket look well, like patched pockets for example. Mixing fabrics like hopsack and corduroy can also work with sneakers. Wearing a well-tailored standard wool suit can also make this pairing work, but avoid power suits, like pinstripes or double-breasted jackets. When a suit is trendy, modern and slim the look is easier to pull off. Matching the shirt to the sneakers is also a nice move as it helps to keep the look chic, keeping it together. 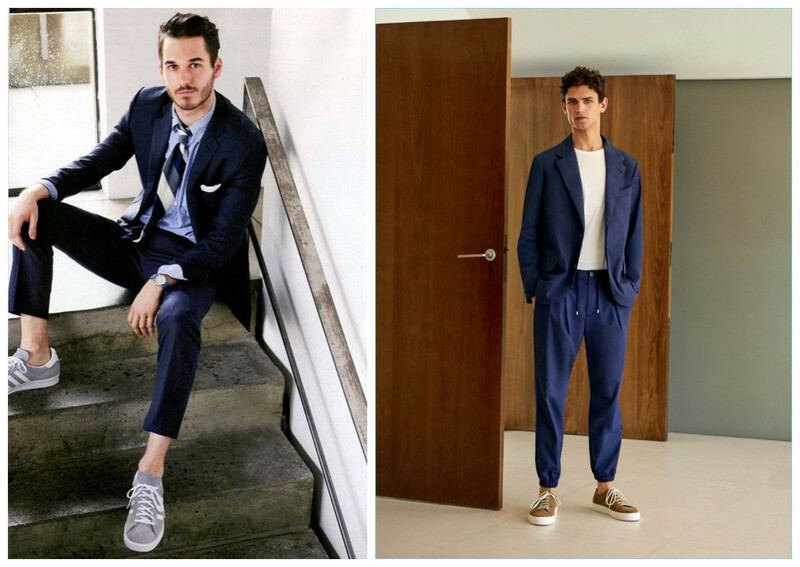 Undoubtedly, the sneakers and suits look, is an era-defining look in men’s fashion, and may well go down in history. What is not so certain is if it will be remembered with any great fondness. Only time will tell. At end of the day, it really all boils down to the sneakers.